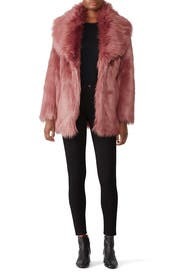 Make an ultra-glamorous statement in this Unreal Fur coat that elevates your everyday style. Rose faux fur (100% Modacrylic). Coat.. Long sleeves. Fully lined. Pockets. 31" from shoulder to hemline. Imported. 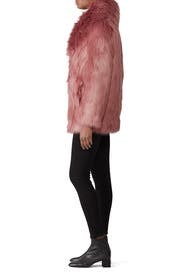 Really gorgeous faux fur, but I felt like pink yeti. Never made it out of the house in it! 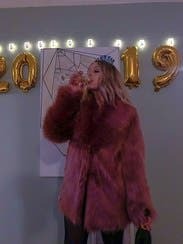 I rented this coat for a holiday party. It was such a fun coat! A medium would have fit me better, but the large actually looked good as it was more over-sized. It was super comfy and so soft! I got compliments all night! This coat will make you feel like Beyoncé. It's the prettiest and the warmest. 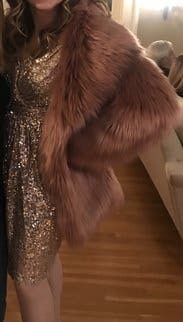 My boyfriend's company party was Studio 54 themed. I wore this with a silver jumpsuit and it was AH MAZE ING. I was the fiercest, baddest, muppet. And walking home I was the warmest, coziest muppet. It even matches my hair. 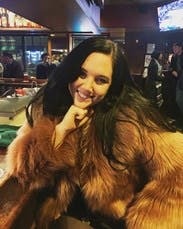 My coworkers and I had a legit photoshoot at work with this coat. Everyone loves it. A little too extra/pricey for me to purchase it and it also sheds BUT having fun wearing it for now!! 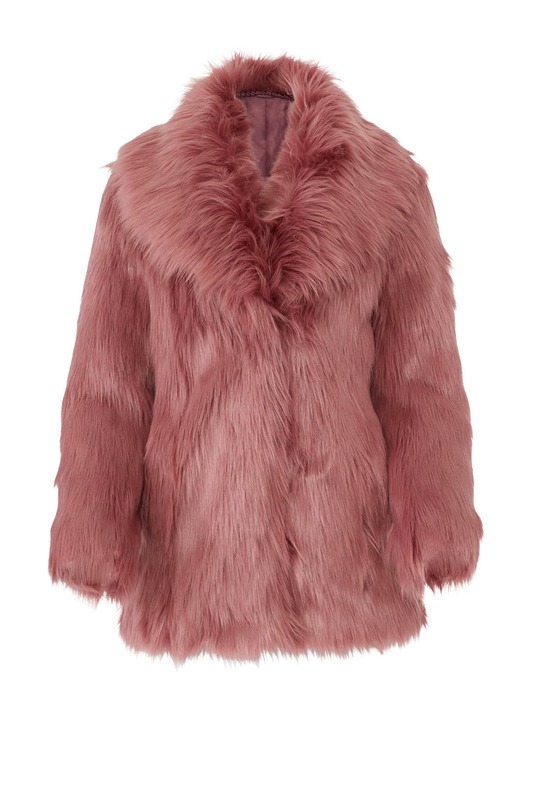 Get ready to get all the attention with this coat! 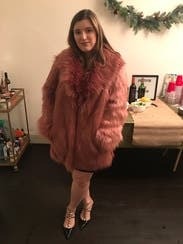 I was a bit intimated when I first tried on this coat by the sheer volume and glamour of it, but everyone absolutely LOVED it! It is HEAVY and will keep you very warm, didn't have any issues with the coat shedding. Highly recommend this show stopping coat!!! Wore this on a Vegas date (because why not?!) and was glad that I sized down. It was very warm and definitely stood out! Fun for once in a while, but not an every day coat. It was a little too bulky for my liking. I love the look of this coat on the hanger but couldn't bring myself to wear it in public. Even with the XS it was massive and overpowered my frame. 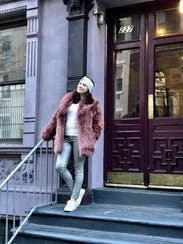 I got a ton of compliments and was able to stay warm during NY winter, loved it! Not as bright pink as I thought it would be but wore it thru an LA winter and it really is stunning. The fur is so soft and really keeps you warm. Love this faux and will definitely be looking at other colors from this brand. Wore this to several holiday parties and really stood out in a crowd. LOVE IT! Did. Not. Want to send this one back. 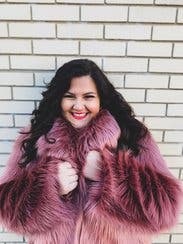 Super warm, super fun, and super amazing coat! I ordered this for NYE and everyone wanted to know where I got it. Fit is true to size, but if you're looking for an over sized look then I would size up. Loved it, it was roomy but as a big girl, I felt it put some weight on me. It's ok because it was fun and I received a ton of compliments. The fur is very soft and the color is gorgeous. Give it a try. Rented this for a special birthday--totally made the outfit! Runs a little bit large, but still looked fabulous and was so fun to wear. Highly recommend. 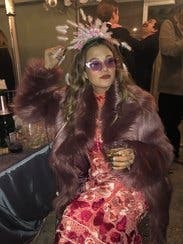 This Rosé colored fur coat was a birthday girl's dream! 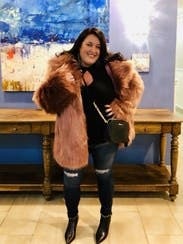 I wore this fabulous coat and received so many compliments! The coat is extremely warm, soft and fashionable! I highly recommend it! Such a fun piece to wear! Prepare to be looked at, complimented, basically delighting and shocking people everywhere you go. My coworkers all took turns wearing it around the office and it was one of my favorite rentals because it seemed to make everyone I passed smile. It's a beautiful rose color and incredibly warm. Love it!! Perfect for any and every occasion! The fit was PERFECT!!! 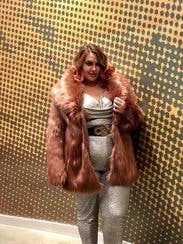 I'm a plus size lady, and it made me feel elegant and sophisticated while being fun and flirty. Will absolutely rent again! I absolutely love this so much that I ended up buying it! I'll be honest. This doesn't do much for your figure but it's 100% a total show stopper! I've never got more complaints on a coat. It runs a little large but I like that. The oversized fit makes it work better I think. It's extremely warm! So cute. My first RTR purchase. So happy I went for it! Runs a bit generously, clips aren't very secure but this coat is FABULOUS. I decided to channel my inner child that looked up to Barbie and ask myself what would Barbie do if she was hanging out for the evening. She would make sure she was dressed up! I wore this for a Barbie 60th anniversary pop up and it did not disappoint. 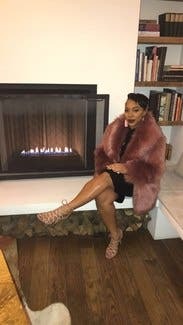 Tons of compliments on the coat and I felt extra glamorous. I'm more sporty and I was able to wear so don't doubt yourself and rent it. 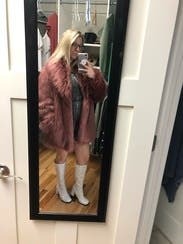 I wore this for a 70's party and I felt so glamorous in it with all the compliments. Warm, soft and cuddly! I rented this for a disco party. I absolutely love it! It's huge, crazy and ridiculously fun! Totally comfortable and fit me well. Of course it's bulky but that's how it should be! 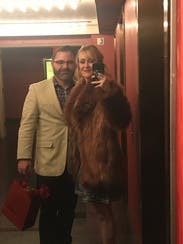 This coat was absolutely fabulous! I ordered a small because my model was barely 5'0 tall and was still giant on her! It even fit me, and I'm 5'10! I rented this for a weekend in Las Vegas! Not only does this coat look great, but it's SUPER comfortable and practical! It's really soft so you won't want to take it off, it's super warm, and it has a small interior pocket for your wallet and phone. Couldn't recommend more! I loved wearing this coat out to a few nice dinners. It's warm, fun, and made me feel like the fanciest muppet on Sesame Street. Rent it! 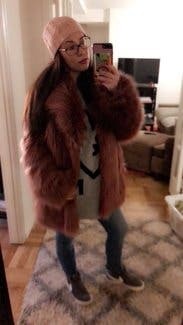 The coat is amazing, just a little oversized for a petite body which is why I gave it 4 stars. It can make you look significantly larger. Other than that the coat is a beautiful color and really warm. 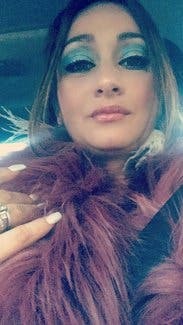 I live on the west coast and it was perfect for my trip to Cleveland to see Cher. So much fun! 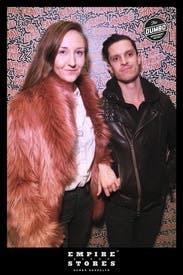 Wore it to a house warming party with black leather pants and a black turtleneck sweater, date night with jeans and a light grey turtleneck and to this adorable pop-up museum with jeans, a white tee, and tennies (my favorite). Love Love Love! 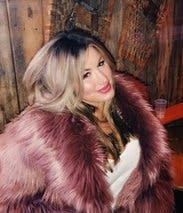 Faux fur is very hot right now and this jacket did not disappoint. Color in my photo is a bit off but it is a deep pink as shown in RTR photos. It is roomy and comfortable. It is very plush. It is also warm, so if you are going to keep it on indoors, it works draping it off your shoulders. It matches wonderfully with Slate & Willow Accessories Rose Gold Ear Jackets and WATTERSb Blush Aldridge Gown. Very cute but runs a little big and was a bit heavier looking on me. A bit big on me since I have a short torso but I didn't mind. Cozy fit and cool coat in general. Felt like a baller and got a few compliments throughout the night. I loved wearing this to my son's wedding! It was a fun jacket to wear over a formal dress! This jacket was gorgeous and I received many compliments on it! 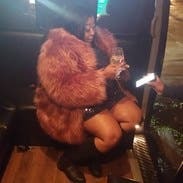 I am short (5'2") and the sleeves were a bit long on me and the shoulders a bit big but I didn't care because the jacket was so luxurious. It's a very fun jacket and literally every time I wore it I received compliments even from strangers!! This jacket is a statement on its own. I love it!!! The coat is sooo comfortable anf moves so well. 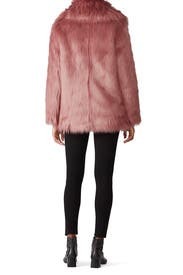 I coute live in this coat! Wore to a wedding in London and I didn't want to take it off! Heavy like a real fur and well made. Doesn’t show off your figure. This was gorgeous! Loved it! Got so many compliments! I got so many compliments on this jacket, I loved it! The buttons are kind of hidden so you have to look for them but I would def. wear again!